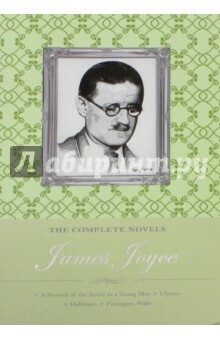 Аннотация к книге "The Complete Novels of James Joyce"
This collection comprises of Joyce's three novels, plus the short story collection Dubliners. Dubliners, about Joyce's native city, is faithful to his country, seeing it unflinchingly and challenging every precedent and piety in Irish literature. The stories in Dubliners show us truants, seducers, hostesses, corrupt politicians, failing priests, struggling musicians, poets, patriots, and many more simply striving to get by. A Portrait of the Artist as a Young Man falls between the realism of Dubliners and the symbolism of Ulysses. The novel is a highly autobiographical account of the youth of Stephen Dedalus, who comes to realize that before he can become a true artist, he must rid himself of the stultifying effects of the religion, politics and essential bigotry of his life in late 19th century Ireland. Written with a light touch, it is perhaps the most accessible of Joyce's works. Ulysses is James Joyce's astonishing masterpiece. Scandalously frank, it tells of the events which befall Leopold Bloom and Stephen Dedalus in Dublin on 16 June 1904, during which Bloom's voluptuous wife, Molly, commits adultery. Initially deemed obscene in England and the USA, this richly-allusive novel, revolutionary in its modernistic experimentalism, was hailed as a work of genius by W. B. Yeats, T. S. Eliot and Ernest Hemingway. Finnegans Wake is the book of Here Comes Everybody and Anna Livia Plurabelle and their family - their book, but in a curious way the book of us all as well as all our books. Joyce's last great work, it is not comprised of many borrowed styles, like Ulysses, but, rather, formulated as one dense, tongue-twisting soundscape. It also remains the most hilarious, 'obscene', book of innuendos ever to be imagined. Книга The Complete Novels of James Joyce - James Joyce.